Financial advice - it's something most people need at various stages in their lives. 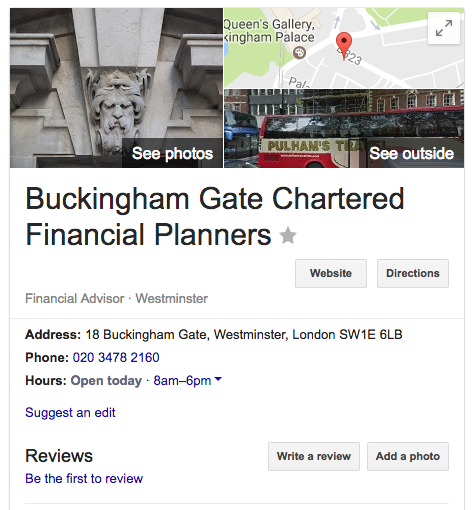 So how are financial advisers helping the public choose them? 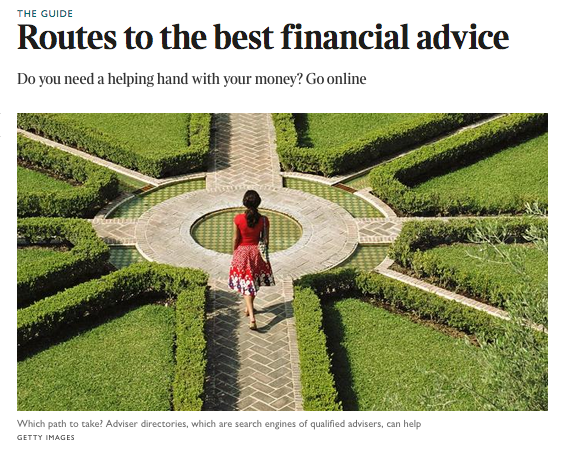 On 10 December the Times ran an article headlined "Routes to the best financial advice". It listed several sources that consumers might use - we say 'might' because the one source that is proving more popular with consumers than any other - worldwide - was notable for its absence. That source? 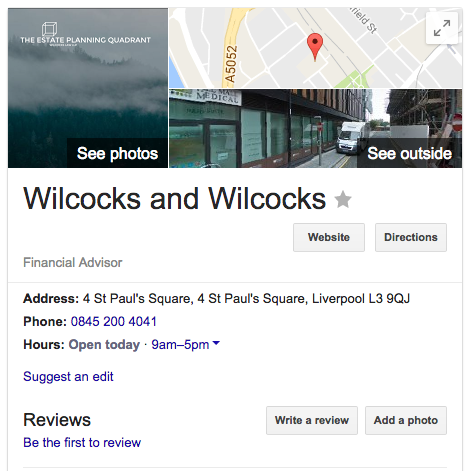 Google reviews. We will go into the reasons why financial advisors of all stripes have not gone down the Google route once we have analysed the advisors recommended by these aggregator sites (we searched for advisers in central London). Does not recommend specific advisers. But we don't think any of these are very helpful! 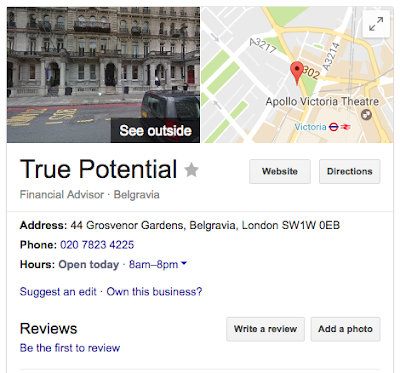 So why no Google reviews? 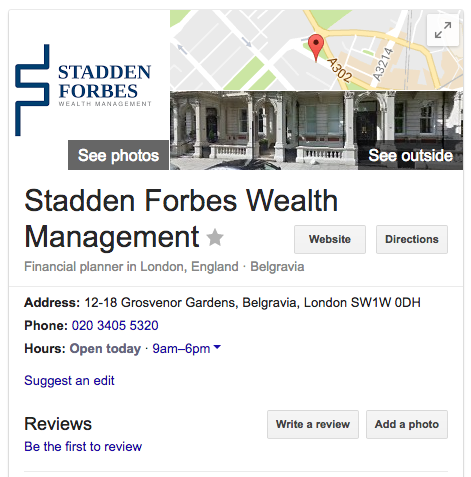 Because the businesses have not asked their clients to post reviews to Google. The main reason has to be fear (it cannot be that the businesses don't think looking great on Google will drive business - in 2017 there's no argument about that). 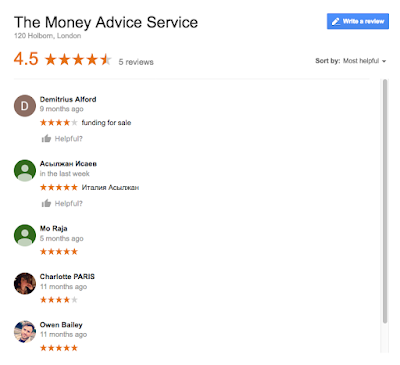 Fear that clients, who often misunderstand the nature of the financial products or services they have bought will, in turn, post misleading reviews. It cannot be to remain in what we call 'Google denial' (meaning ignoring Google reviews). Eventually clients will find their way to writing reviews of these businesses, and the chances are that those reviews will be uncomplimentary. Why uncomplimentary? Not because the businesses are bad at what they do but because unhappy consumers are up to fifteen times more likely to post a review. Look at what has happened to a major international car hire business in the last 12 months. Just half-a-dozen - mostly unhappy - customers are now dominating each branch's online reputation. HelpHound will ensure that the business has the opportunity to address any reviews that contain inaccurate or misleading statements pre-publication. The prospect of misleading or inaccurate reviews appearing - either on the business's own website or on Google will be minimised. If you run a great business your business will look great - on your own website and on Google, guaranteed. Estate agency shares many similarities with financial advice: both are businesses that consumers use at a financially critical time in their lives. But there is one demographic difference which had led estate agents to lead financial advisers in the reviews sphere, and that is the average age of their customers. Estate agents first encounter consumers as tenants, commonly when renting at university or when they first leave home to enter the world of work, and younger consumers tend to be more web-savvy and, as a result, less intimidated by the concept of writing a review. 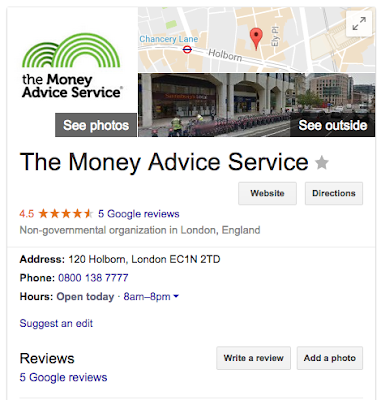 This business won't mind admitting that they were initially intimidated by the idea of inviting their clients to write reviews to their website and to Google. That is a big part of the reason they became clients of HelpHound. 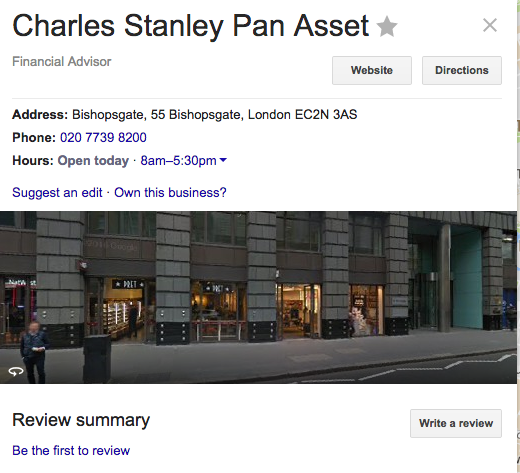 We look forward to the day when forward thinking financial advisers look the same - on their own websites and on Google. Consumers will have the confidence - provided by their fellow consumers - to choose a financial adviser with far more certainty than they do currently. 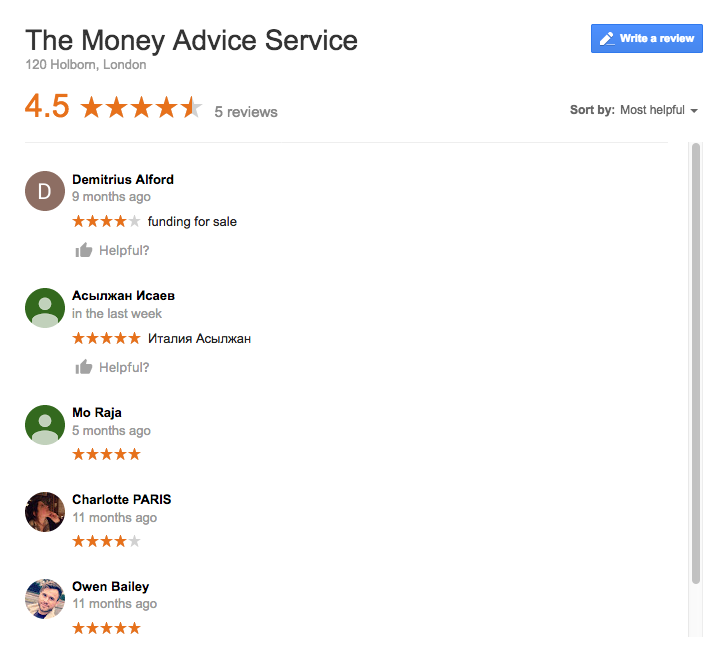 2016 - what a year for estate agency reviews!